Technical Tuesday – Look Ma, No Wires! These lights are truly wireless, getting their power from rechargeable batteries which last about ten hours between charges. There’s also a control panel included on the instrument, so control can be completely cable-free as well. And since there’s an app for everything these days, of course, there’s an app that you can load on your mobile phone or tablet to control the Freedom PARs wirelessly! The Production Department owns ten of these little dynamos. Master Electrician Eric Richardson has been expanding the inventory little by little. 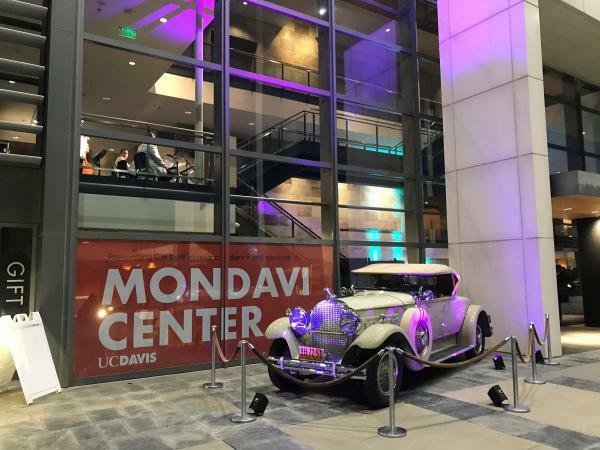 He worked with Freedom PARs in previous jobs---setting them up in lobbies and hotel ballrooms for smaller events---so knew he had to get some for the Mondavi Center, too. 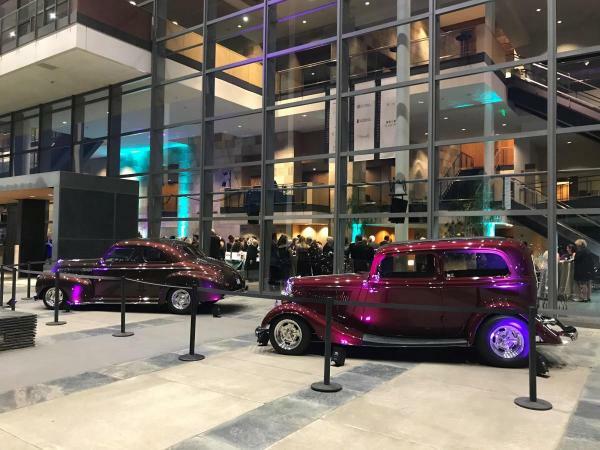 Here are Freedom PARs splashing some color on the gorgeous vintage cars that were parked outside the Mondavi Center for the 2018 Gala. 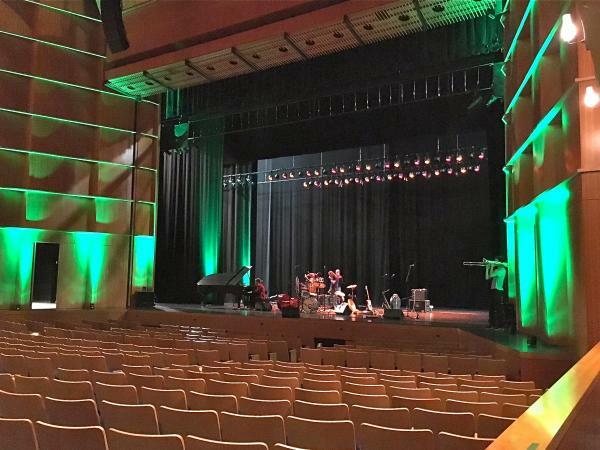 Now Eric has started looking past the smaller events and begun exploring ways to use them for concerts in Jackson Hall. 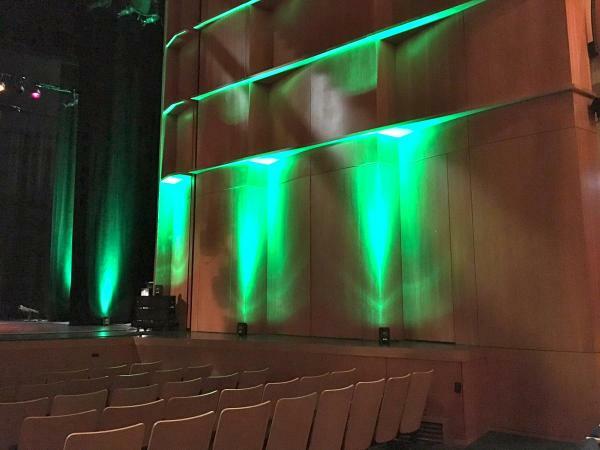 Currently, he likes setting them up downstage of the proscenium (that is, on the audience side of the stage), lighting the walls to provide color and depth.